All are welcome to join ACYC (Ao Chalong Yacht Club) Sunday sailing races. Breakfast is available at the club from 8am onwards. Anybody wishing to sail but don’t have a boat are advised to turn up before 10.30 am and we will do our best to get you on a vessel. 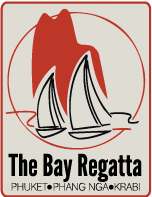 Rules – The regatta will be governed by the rules as defined in The Racing Rules of Sailing 2013-1016. For more information, call Alan Carwardine 0800401114.